Not very often I get to post two new builds in a week, but here goes...at the Biggin Hill Heritage Hangar, Spitfire MJ772 has recently been restored and repainted in new livery, prior to its return to flight. 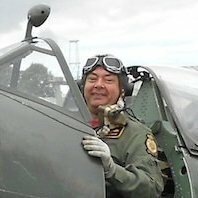 I was recently asked to build a model of this particular airframe for the chap who runs The Two Seat Spitfire Page on FaceBook, who has a growing collection of 1/72 Spitfire T9s. As per usual, the AZ Models kit was used in the absence of any other available kit, and just a few minor tweaks were made. The rear canopy bow is moulded way too thick on the kit part, scaling out at around a foot wide and several inches proud of the perspex, so I carved it off, sanded it down, polished it back to clarity, dipped it in Klear and then masked it to paint a much thinner bow. I think it was a small improvement worth making. The paint used was Tamiya acrylics, and a panel line wash was added to the movable and removable bits only - engine cowlings, flaps, ailerons, elevators, trim tabs etc. I resisted doing a panel line wash all over as in such a small scale it just looks overdone. 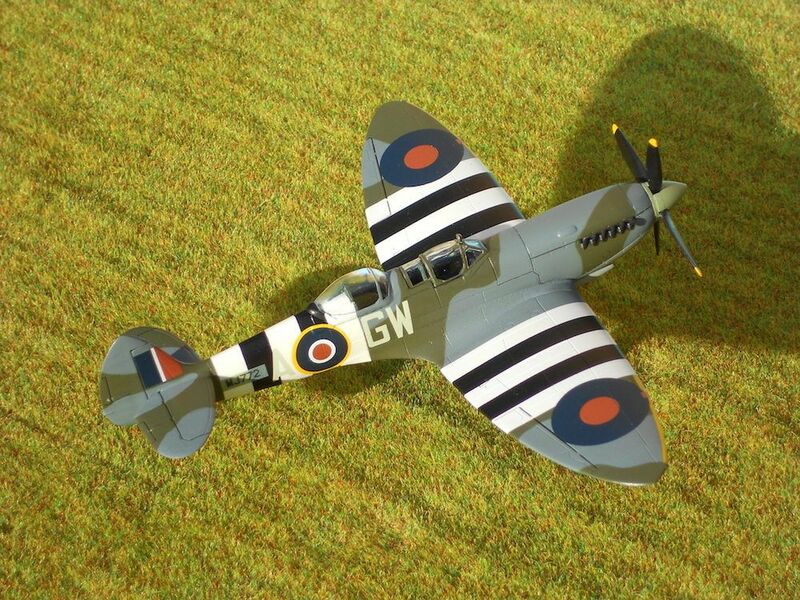 Final finish was done in Xtracrylix Flat Varnish, after which the canopies were unmasked, the wingtip lights were painted in, the whip aerial under the wing was added and the final touch was to add the propeller - something which always signals the end of the build for me. Invasion stripes are a pig to paint on anything never mind a Spit. If the old marbles are working correctly,I seem to remember MJ was converted to TR.IX spec for the Irish. and looked odd because the two seat conversion entails moving the original cockpit forr'ard by 13 inches. I think it was Meier Motors that "un-faired" the rear and put her back to two-pew configuration when she came back to Europe. away from a rather bent MJ772 without a scratch. Very nice work indeed Deano,she looks very good indeed and very glad your "punter" is pleased with her. 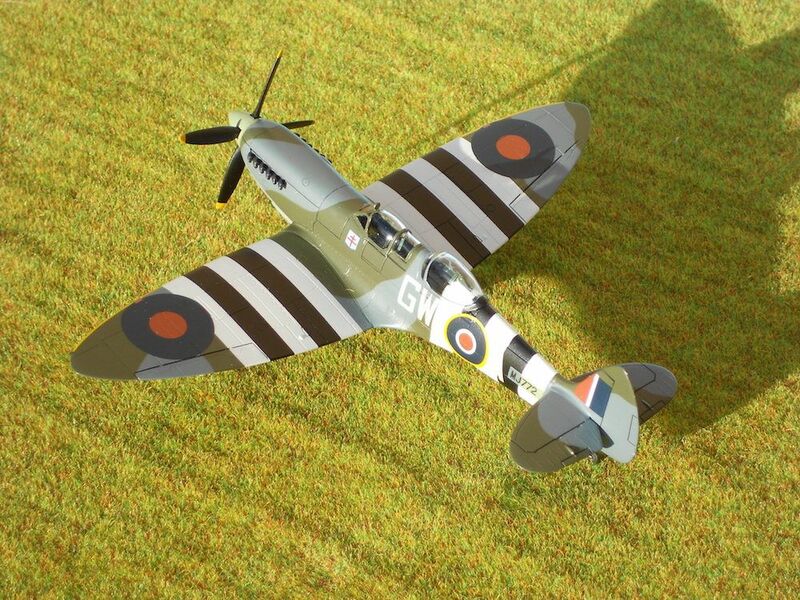 All I know is that if I ever want another Stripey Spitfire,then you're the man.